This article is the second in the Strainprint Community Cannabis for Conditions series. In the introductory piece on Social Anxiety, readers were offered a thorough primer on the mechanisms of cannabinoids and terpenes, as well as The Entourage Effect and its impact on health conditions. Read these important factors in cannabinoid therapy here. 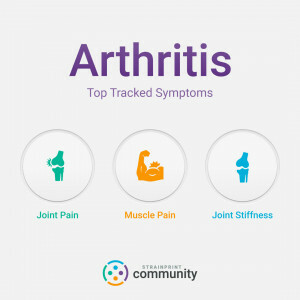 Arthritis is a collection of more than 100 rheumatic diseases that affects one or more joints and surrounding tissues with the primary symptoms of inflammation and swelling, typically resulting in severe pain and discomfort. In extreme cases, arthritis can result in limited mobility and crippling and deformative debilitation. Arthritis is one of the most common diseases in the world, resulting in mild to severe pain, stiffness, and sometimes loss of mobility. Collectively, all 100 forms of this common ailment attack the joints and other connective tissues of the body, afflicting 350 million people worldwide and nearly 45 million North Americans—60 percent of which are women. Arthritis affects all segments of society, including 300,000 children. Most prevalent among seniors, arthritis is the leading cause of disability in the United States. 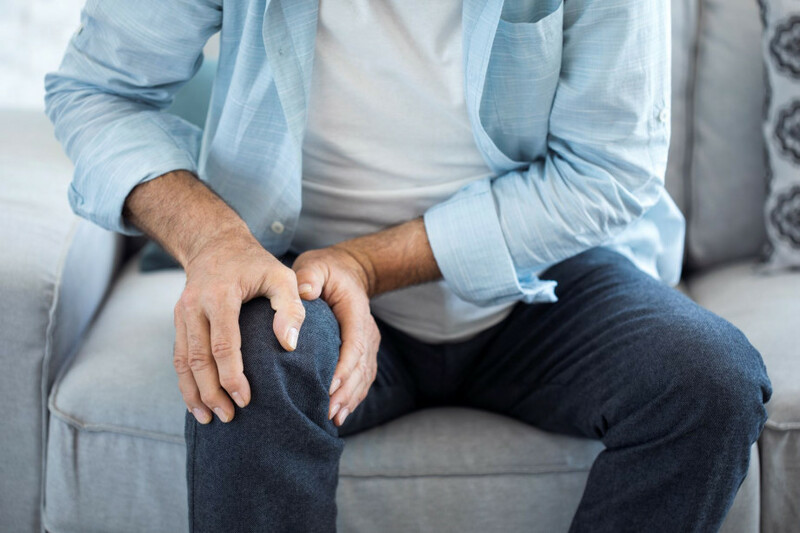 This potentially debilitating and typically painful disease manifests in two primary types: Osteoarthritis (the most common form, called OA) and rheumatoid (RA). According to the Centers for Disease Control and Prevention, fibromyalgia, gout, lupus, and psoriatic arthritis (PsA) fall into the same family of arthritic conditions. Osteoarthritis results in the breakdown of the cartilage tissue that covers the ends of bones in the joint section. Rheumatoid arthritis, on the contrary, is an autoimmune disorder that targets the lining of joints (a surface called the synovium). 47 percent with diabetes have arthritis. 31 percent of obese patients have arthritis. According to Americans for Safe Access, cannabis is one of the most powerful treatment therapies for all varieties of arthritis. “Drugs which can modulate not only pain from arthritis, but also protect bones, are of great importance,” reported the Washington, D.C.-based medical cannabis advocacy and lobbying organization in its publication Arthritis and Medical Cannabis. “Cannabis and cannabinoids represent a promising treatment [that] can reduce arthritic pain and inflammation and positively modulate bone growth and maintenance. It has already been demonstrated that cannabinoids can effectively treat some types of arthritic pain, but recent evidence suggests that cannabinoids are also important for bone growth and maintenance throughout life,” reported the organization on its website. Two primary cannabinoids offer significant efficacy for arthritis sufferers: CBD and THC. CBD: Plays a critical role in regulation of the immune system, making it especially beneficial for autoimmune conditions such as rheumatoid arthritis. Benefits to the immune system result in direct improvements to the ECS and, thus, the overall ability of patients to combat their disease. THC: Acts as an analgesic (pain reducing agent) and anti-inflammatory. This infamous molecule also helps reduce the anxiety and depression that often accompany severe conditions such as arthritis, cancer, and epilepsy. 12 percent of all Strainprint app sessions are treating Arthritis and its myriad symptoms. App users report that Rex, available from Canadian Licensed Producer Medreleaf is an effective strain for managing joint pain. THC Cannabis Oil from Broken Coast Cannabis is top rated for relieving muscle pain associated with Arthritis; and CBD Critical Mass from Canna Farms helps with joint stiffness. The pervasiveness of arthritis, especially among seniors, has motivated doctors and medical professionals to seek safer alternatives to conventional pharmaceutical therapies and synthetic drugs—many of which carry the risk of addiction and other harmful side effects. This is of benefit to the arthritis patient community, especially the large segment that does not respond to traditional treatments and that suffers negative side effects that, collectively, sometimes outweigh the benefits of such therapies. Dr. Jason McDougall is a professor of pharmacology and anesthesia at Dalhousie University in Nova Scotia, Canada and chair of the Scientific Advisory Committee of the Arthritis Society. McDougall is one of the most prominent advocates of cannabis and its derivative healthy molecules in an effort to treat arthritis and decrease the severity of symptoms. “There’s been a lot of experimental evidence to show that cannabis can be effective in treating the pains of arthritis, as well as inflammation and helping with fatigue,” said McDougall. He stressed the subjective efficacy of the same cannabis strains for different arthritis patients, encouraging sufferers to experiment with different varieties (cultivars and phenotypes) of the herb. McDougall believes additional clinical studies with cannabis are necessary to properly address the tough issues facing arthritis sufferers and their caretakers, including drug interactions, dosing, and optimal consumption avenues. “Further research into medical cannabis is required so we can understand the different subpopulations of patients who may be responsive to medical cannabis,” said McDougall. The efficacy of cannabis for all forms of arthritis has been touted in literally thousands of patient testimonies. One of the most compelling is that of 87-year-old Santa Cruz, California resident Dorothy Gibbs, who employed a wide variety of traditional pharmaceutical drugs in an effort to decrease her pain and discomfort prior to considering cannabis as a treatment therapy. Gibbs had been prescribed a litany of pharmaceutical drugs for her condition, including Tylenol #3, Ultram, Daypro, Tegretol, Soma, Valium, steroid injections into trigger points, Dilantin, Duragesic, Zofran, Compazine (for the nausea caused by the opioid pain relievers), Dolobid, and Lodine. “Nothing seemed to work,” reported the octogenarian. “My caretaker had heard of the success some people experience with the medicinal use of marijuana for pain management,” she said. Sometime during the end of 1997, Gibbs obtained a cannabis sample. “Although I had never used marijuana in my previous eighty-seven years of life, I was willing to try anything that could alleviate even part of the pain,” she said. 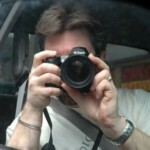 “The relief I experienced from medical marijuana was almost immediate. I was so pleased with the result that I wrote to [my primary care physician] about my use of medical marijuana and we talked about the benefits of the medicine. [He] examined me and noted that medical marijuana helped me experience less chronic pain and nausea, leading him to recommended [it] as part of my daily pain care regimen,” she said. Lisa Lang Van Camp is a patient in Illinois who suffers from severe osteoarthritis. Her physician recommended medical cannabis to help her control the condition, favoring it over harsh and addiction-riddled pharmaceutical drugs such as oxycodone (marketed as OxyContin) which she had previously been prescribed to manage pain. Much research conducted throughout the world has provided both clinical and anecdotal evidence to support the medical efficacy of cannabis for arthritis. A 2017 study entitled “Attenuation of Early Phase Inflammation by Cannabidiol Prevents Pain and Nerve Damage in Rat Osteoarthritis” and published in the journal Pain investigated the efficacy of the phytocannabinoid CBD for arthritis. A 2014 study conducted in Spain entitled “Involvement of the Endocannabinoid System in Osteoarthritis Pain” and published in the European Journal of Neuroscience worked with rodent models. The researchers found cannabis to be effective in treating both the inflammation and pain associated with all forms of arthritis. A 2013 study entitled “Cannabinoid CB2 Receptors Regulate Central Sensitization and Pain Responses Associated with Osteoarthritis of the Knee Joint” and published in the journal PLOS One revealed that cannabinoids target CB2 receptors within the endocannabinoid system of mammals and are effective in dealing with the pain associated with osteoarthritis. “These findings suggest that targeting CB2 receptors may have therapeutic potential for treating OA pain,” concluded the researchers.